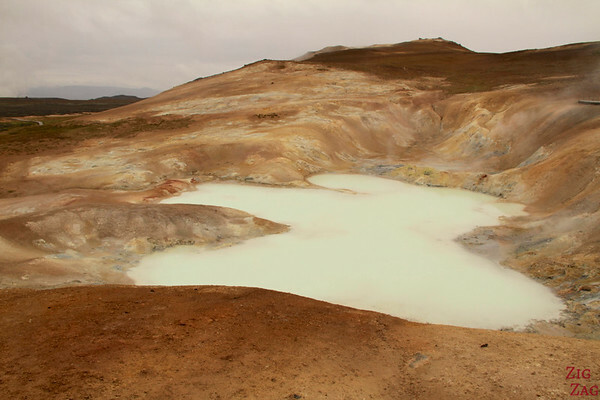 The geothermal area of Leirhnjukur near lake Myvatn as been one of my favorite places to visit in Iceland. Even though I had just admired the colorful Hverir and the surprising Viti crater, I still managed to be blown away by the volcanic nature of Iceland. The particularity of this place? 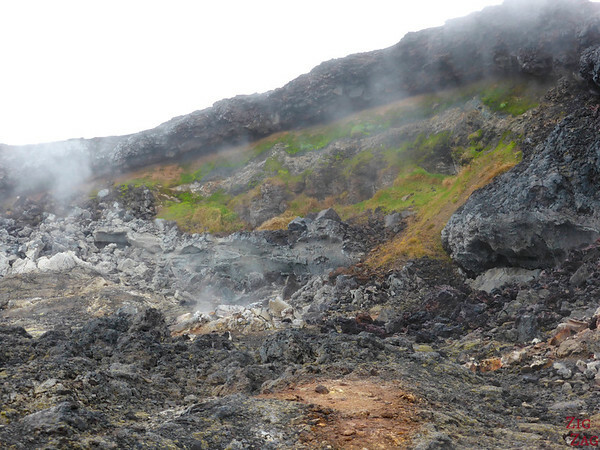 The lava field is still fuming! Leirhnjukur is a great example of why I love Iceland: this is a place where you can fell the power of Nature. 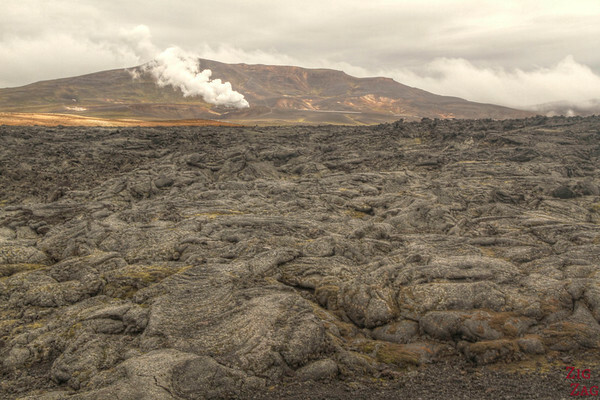 Indeed, this geothermal area in North Iceland is partly composed of a lava field that is still steaming 30 years after the last volcanic event. As you will see in the photos below, this small hike was like landing on another planet. There are 2 trails around the area starting from the carpark. The small loop is nice but the geothermal features migth disappointed those who have visisted Yellowstone, USA or Wai-o-tapu, New Zealand. 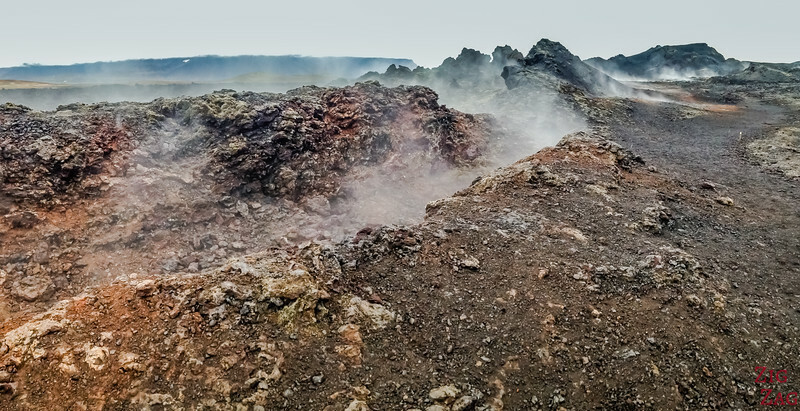 For me, the big loop is the fascinating part, walking in the middle of the steaming lava field is an experience I will never forget and this is why this location is first on my list of top 5 things to see in Myvat﻿n. 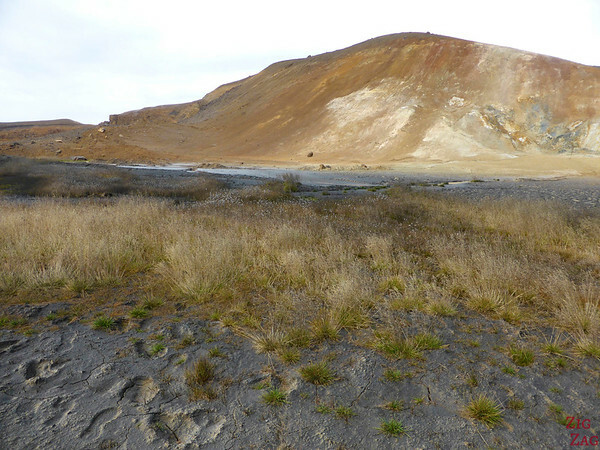 About its geology: Leirhnjúkur is a rhyolite formation (593 meter above sea level). 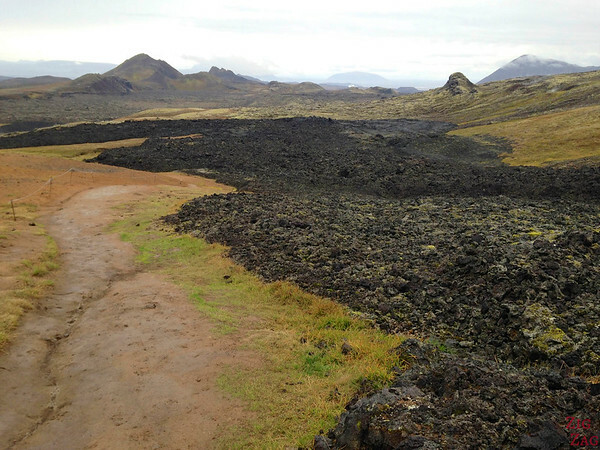 The hill rises less than 50 meters above the surrounding lava field. 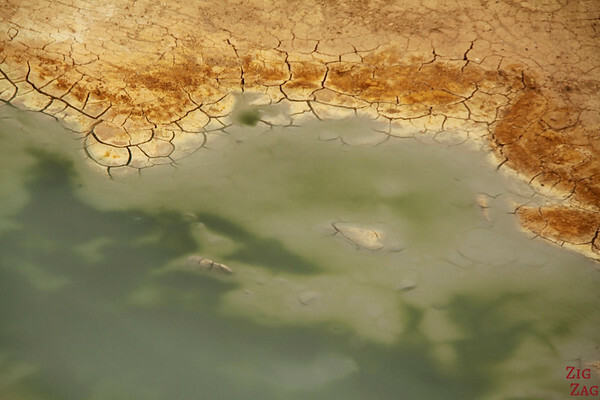 The rhyolite of the hill is porous due to the geothermal heat and has in several places turned into clay, hence the name “clay hill”. 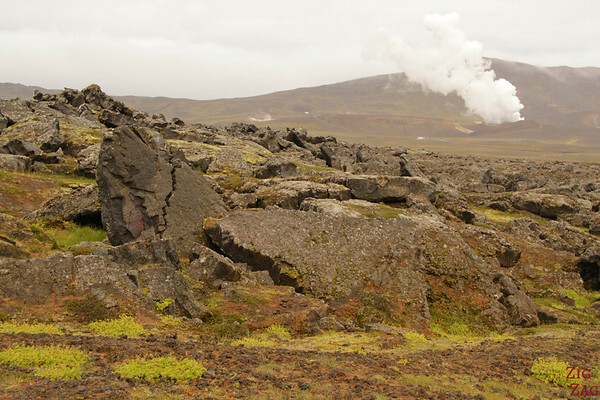 During the past few centuries, two major periods of volcanic activity have occured, the former in the Myvatn fires 1724-1729, and the latter in the Krafla fires 1975-1984. The various features of the area are not well indicated. You will see other carparks. After driving past the power plant the first parking on your left is the one for the Leirhnjukur trail. DO NOT go off-path unless you want to melt your shoes. 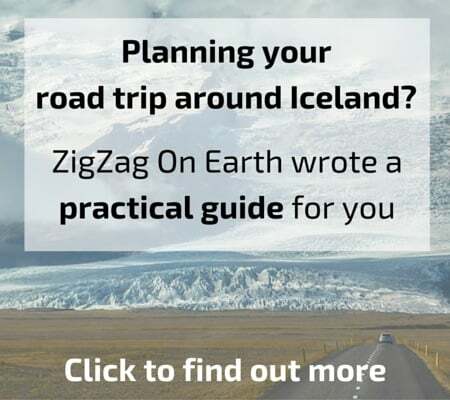 Leirhnjukur is included in the Travel guide Experience Iceland that I wrote to help you plan your road trip around Iceland and make the most of your time. Just 100m from the parking, you get in the mood: you enter amazing scenery that looks post-apocalytic with interesting colors. No need to push me to continue walking further. The bar is set. One of the first features on the small loop is the pool. The boardwalk goes 3/4 around it. As often in a geotehrmal area, the colors are fascinating, I especially liked the view with Viti and Krafla in the background. Part of the small look goes accross the rhyolite hill where you can see strange colors: some features are very white, other red, many dark and grass still manage to strive! 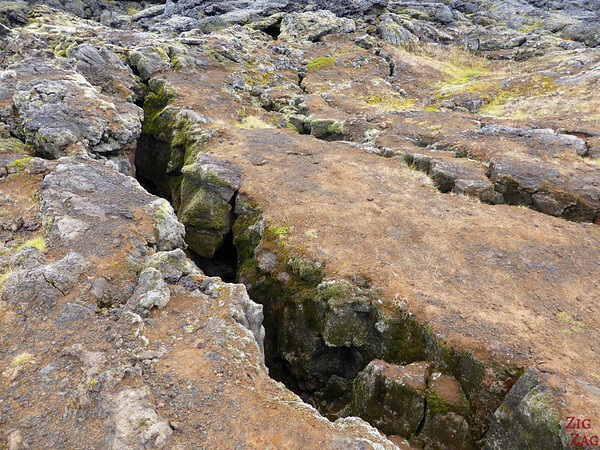 Along the way I found many fissures. I love photographing them. I think that one looks very imrpessive. This was taken on my way back. the lava created here some soft shapes. 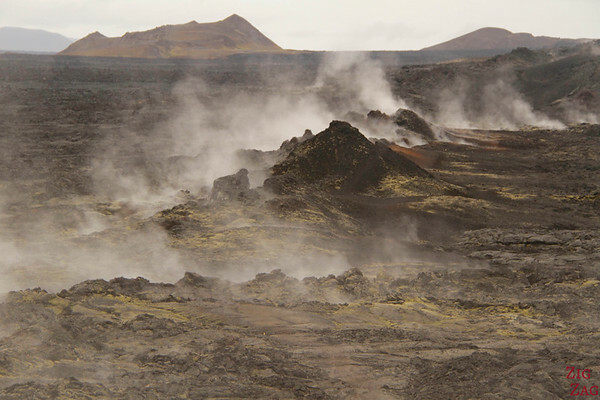 In the background are Viti and Krafla. Can you believe this is on Earth? another fantastic article i’ve used to help plan my trip!